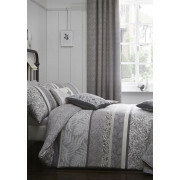 The Hanworth duvet cover set from Dreams & Drapes is sure to give your bedroom a updated contemporary look. 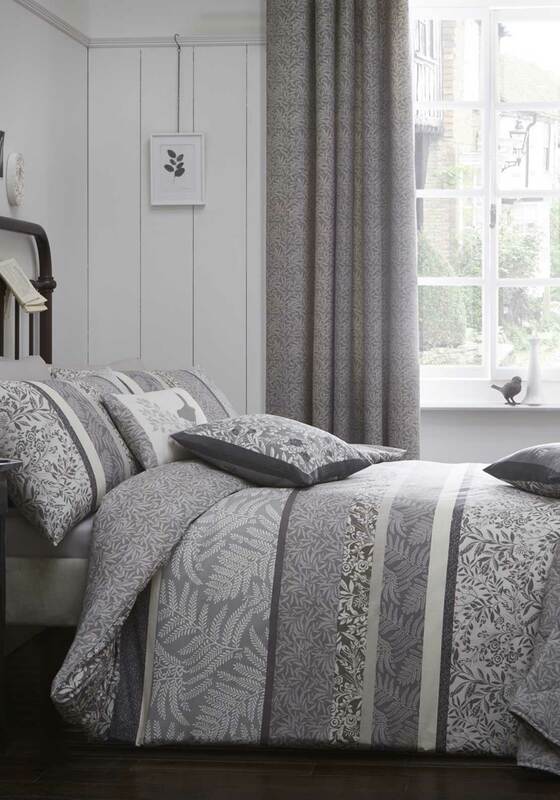 This stunning print features delicately drawn leaves, fronds and fauna complete with striped detailing. Two pillowcases are included with the double, king and superking and one comes with the single set.